Pop music would be far different without the lasting contributions of Carole King who has had a late career whirlwind beginning in November 2007, when she and James Taylor returned to the Troubadour in LA for 6 historic performances which were documented in the Grammy-nominated, gold-certified Live at the Troubadour CD+DVD, which was released in May 2010. The event was the inspiration for the pair's 60 sold-out "Troubadour Reunion" world tour of 2010, as well as the feature-length documentary Troubadours: Carole King / James Taylor & The Rise of the Singer-Songwriter, which debuted on PBS television. King released A Holiday Carole in November 2011, which artfully blended the sacred and the secular with an eclectic mix of standards and newly-written material. The crowning glory of King's last half decade was in April 2012, with the publication of her memoir, A Natural Woman. It debuted on the New York Times bestseller list at #6 and prompted Vanity Fair to say, "America is having a Carole King moment." As a companion to Carole's life story, Concord/Hear music released The Legendary Demos with 13 previously unreleased demo recordings featuring some of her most celebrated songs from 1960-1970. King wrote her first #1 hit at the tender age of 17, penning "Will You Love Me Tomorrow" for the Shirelles with then-husband Gerry Goffin. The dozens of chart hits Goffin and King wrote during this period have become part of music legend, but it was 1971's Tapestry that took King to the pinnacle. It spoke personally to every one of her contemporaries and provided the spiritual musical backdrop to the decade. While King was in the studio recording Tapestry, Taylor recorded King's "You've Got a Friend," taking the song all the way to #1. In a first for a female writer/artist, Tapestry won all three of the key Grammy Awards—record, song and album of the year—as well as best female vocalist honors for King. With more than 25 million units sold, Tapestry remained the best-selling album by a female artist for a quarter century, and King went on to amass three other platinum and seven gold albums. In addition to her continuously evolving musical career, King, who has lived on an Idaho ranch since the early '80s, is actively involved with environmental organizations in support of forest wilderness preservation. To date, more than 400 of her compositions have been recorded by over 1,000 artists, resulting in 100 hit singles. She has won countless awards over her 50 + year career, including 5 Grammys. 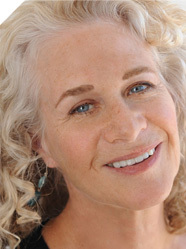 Now 71 and still full of life, Carole King is without question the most successful and revered female songwriter in pop music history.